I was strolling around Venice when I stumbled upon The Stronghold. This boutique, breathing the atmosphere of a high-end, dust bowl chic kind of establishment, pulled me in with its classic look and feel. As I always try to keep an eye out for cool stuff for my man, I went in to snoop around. 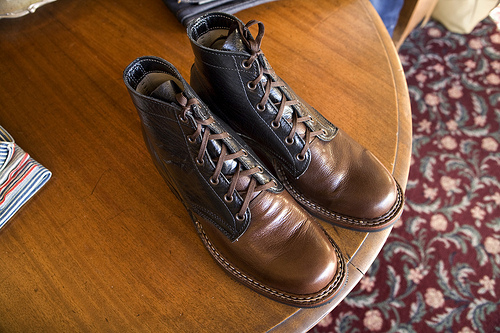 Turns out that the store, decked out with antique furniture and bordello-style floral carpeting, was filled to the brim with beautifully made shoes by White's, vintage eye-wear, timepieces, ties, bags, and of course the store's own brand of denims. 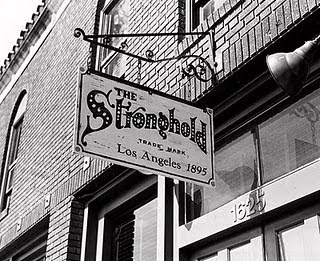 Talking to the staff I learned that The Stronghold started in LA in 1895 (as a matter of fact it was the first denim brand that was ever produced in Los Angeles) and lived until the 1940's. 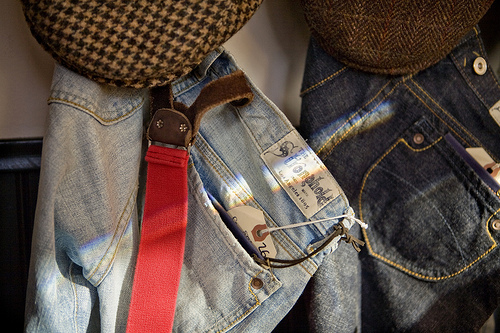 In 2004, two friends decided to resurrect the brand and focus on selvage denim pants, either made in standard fits, or custom made to measure. 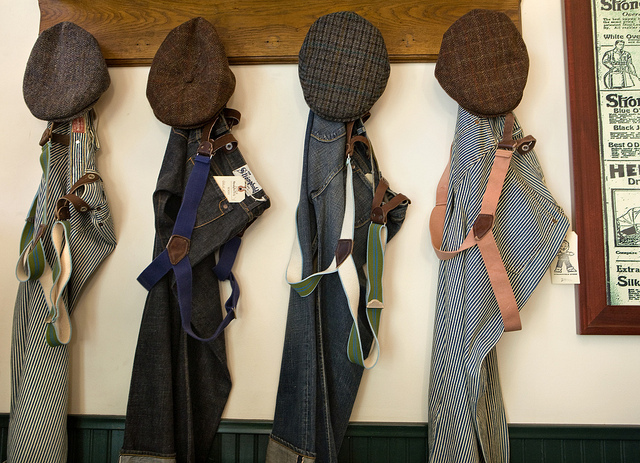 For those of you that didn't know this, selvage is the narrow woven edge of denim that is produced on vintage narrow width looms. It is usually white and often has a colored line, called a "ticker", running through it. 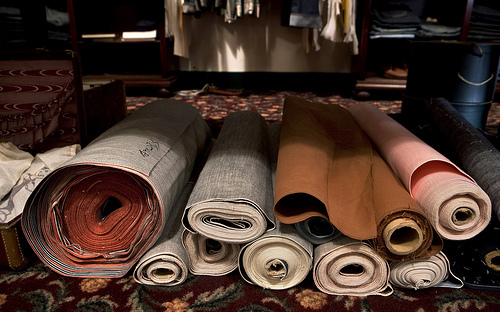 Less than 1% of all denim produced world wide is still woven on these "shuttle" looms. The service in the store is excellent and also easy on the eye as the friendly staff looks like modern dandies. Now, this store is not cheap but it does make you feel like you are buying old world workmanship and quality. Paired with timeless style, fit and finish this is a win-win situation if you have some money to burn. Unfortunately for my husband I left empty handed, but at least we know now where to shop in case of an unexpected tax refund.